Anyway i thought that idea off the white wedding is very interesting. At this particular moment we haven't yet decided as such on the decoration and flowers, and our invitations were not of any actual colour, well except dark red seal wax stamps and golden decorations. So white wedding would be still possible for us. So i decided to look for some white wedding decorations and looks. White colour is interesting as it has so many different shades and can actually be ether warm ivory and yellowish, or it can be cold bright white. Playing with different shades of white can make the wedding venue look elegant and will let different things stand out. Like white flowers on the white table will look better if the shade of white will be different in them. As example of how different the white colour can be is the lower picture, yes all of this colours here are actually white! I really like how white looks with natural wood colours. Hmmm bridesmaids in white as well ? Would you be brave enough? 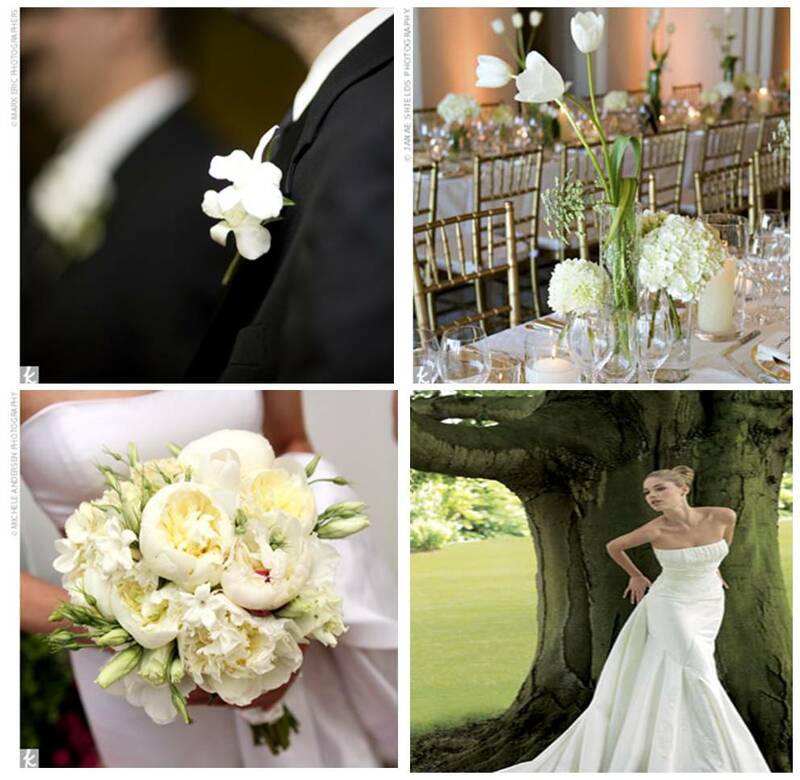 Or do you think more traditionally, that only the bride should wear white ? After looking on all the whites, i must be honest. Personally i must say, that if we will have only white colour - i will go nuts :) But still the idea is good especially if the flower central peaces would have a lot of green flowers/leafs and such. 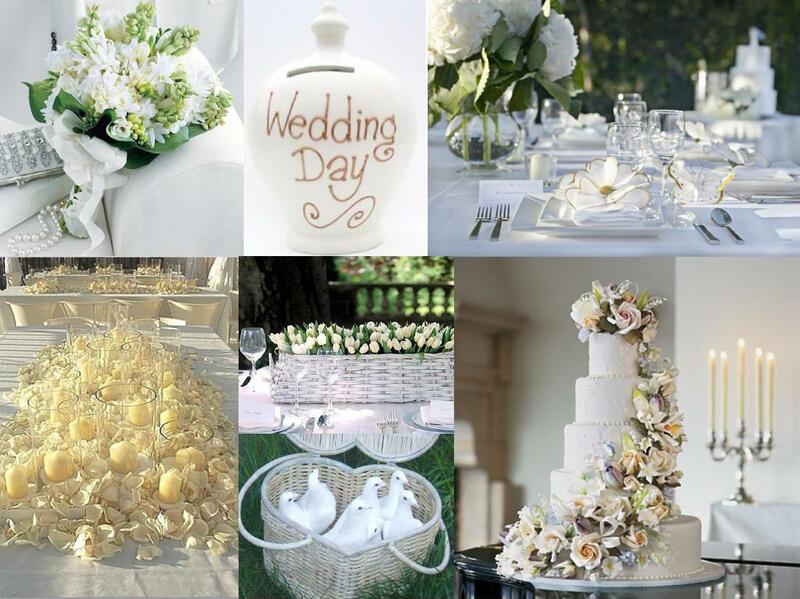 What do you think, will you have a white wedding ?